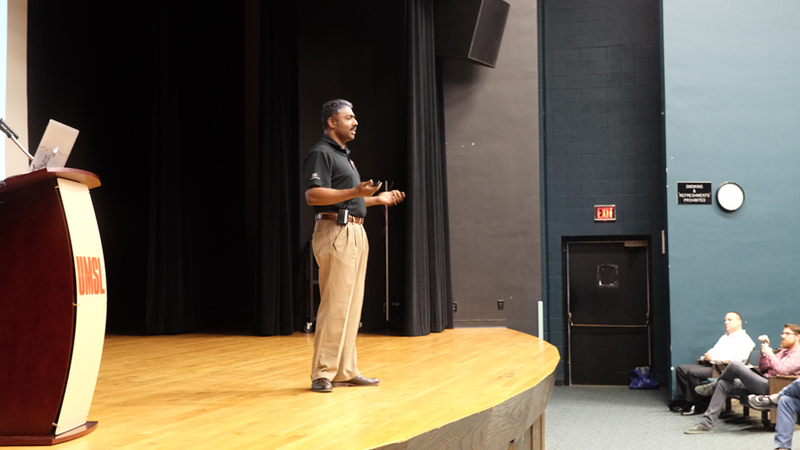 Information technology professionals came together with students from area high schools, community colleges and universities – more than 500 people in total – and packed the seats of the J.C. Penney Auditorium last Friday for STLCyberCon 2017. 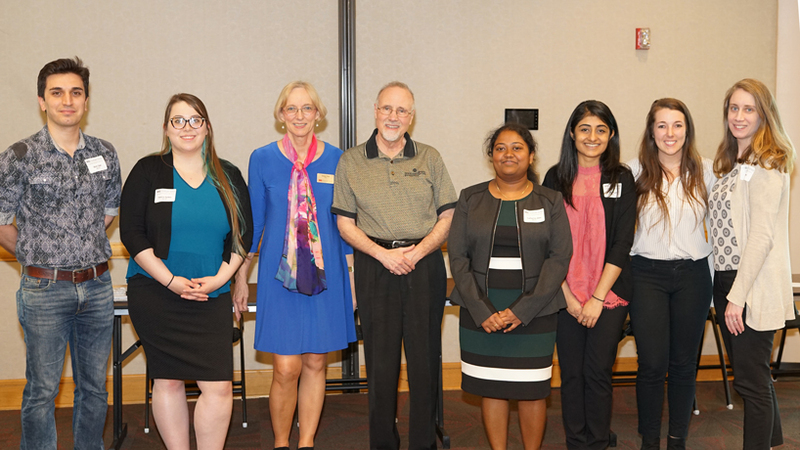 The annual cybersecurity conference, sponsored by Mastercard, marked its third year and offered lessons on and promoted awareness of cybersecurity issues while showcasing what the University of Missouri–St. Louis has to offer through the joint work of the computer science and information systems departments. 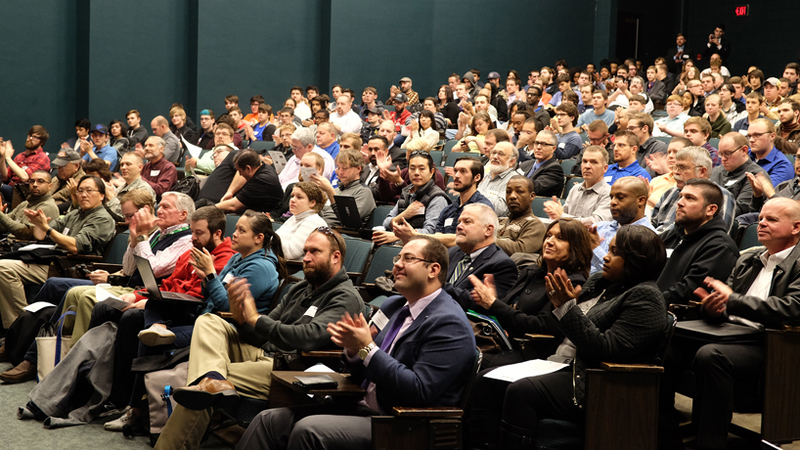 A crowd of more than 500, consisting of both students and professionals from across the St. Louis region, packed into J.C. Penney Auditorium Friday for STLCyberCon 2017. 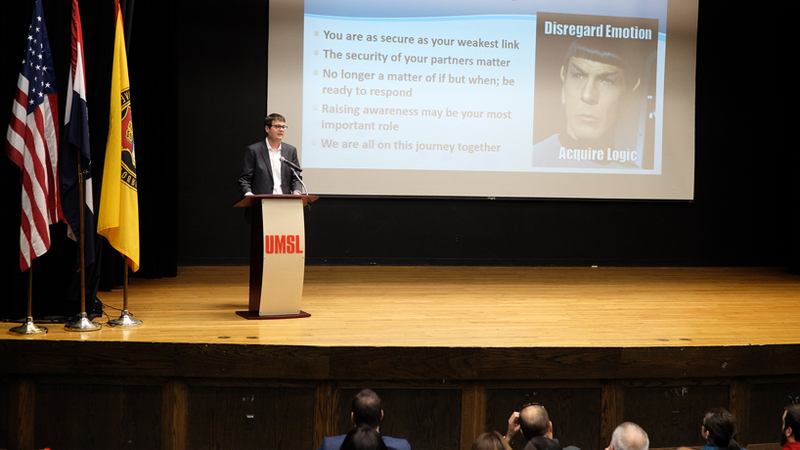 After a welcome from Chancellor Tom George, Khan introduced Michael Roling, the chief information security officer for the state of Missouri, who delivered the first of two keynote addresses – his on the work the state’s office of cybersecurity. 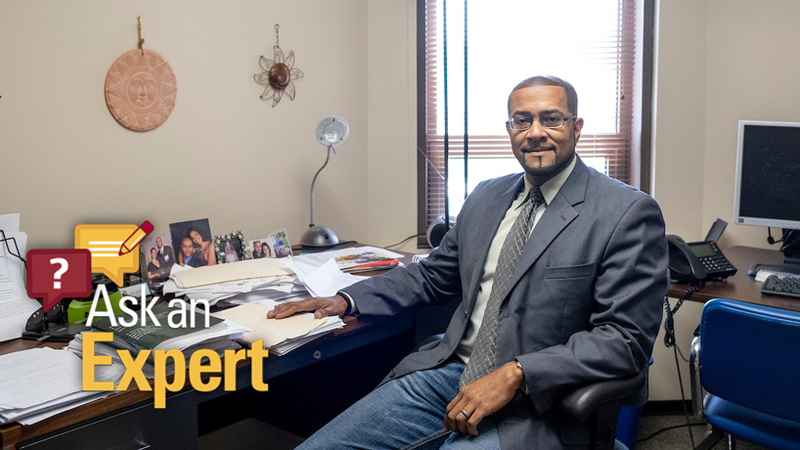 He went on to highlight numerous ways the office works to safeguard information systems in Missouri. 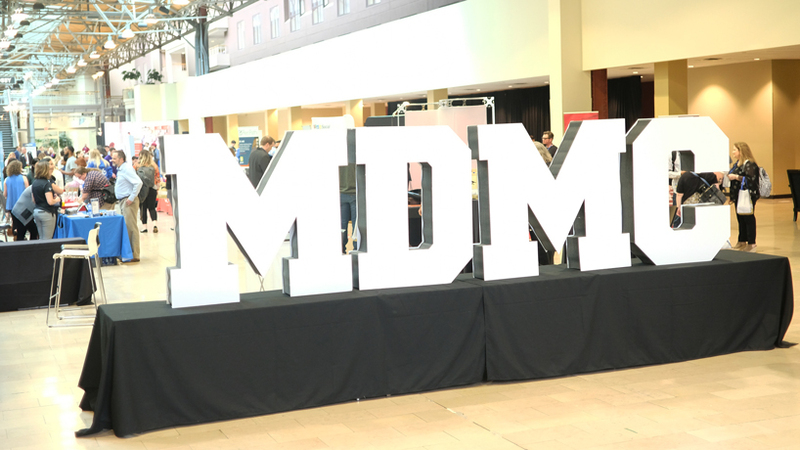 Mano Paul, the lead cybersecurity strategist at General Motors and the author of two books, delivered the second keynote address on Friday afternoon, offering a look at the field today and where it’s headed in the future. Among other points, he talked about the need to study hackers and learn from them. “You know who they are and why they hack, but do you really know how they hack?” Paul asked rhetorically. He went on to demonstrate several hacks. Mano Paul, the lead cybersecurity strategist at General Motors, addresses the audience from the J.C. Penney Auditorium stage on Friday afternoon at STLCyberCon 2017. In addition to the two keynote addresses, the conference featured shorter presentations from speakers such as Poonam Verma, the vice president of identity access management at Mastercard; Lt. Col. George Sconyers, the 375th Communication Support Squadron commander at Scott Air Force Base; and Roftiel Constantine, the director of global information technology at Baldwin Technology Company. A capture-the-flag competition, challenging participants to find “flags” in binaries, web applications and systems, was held in conjunction with the conference for the first time. The event also featured a career fair with representatives from nearly 30 businesses or agencies.